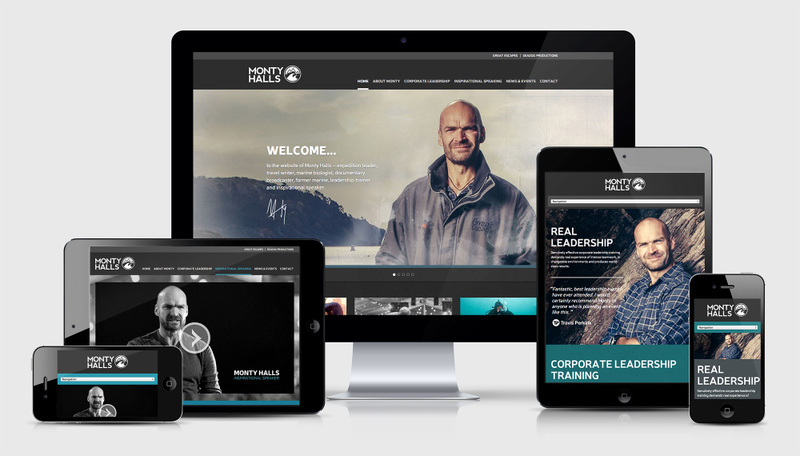 Adventurer, expedition leader, ex-Royal Marine, marine biologist and television broadcaster Monty Halls, required a new website to establish his new personal brand offering. 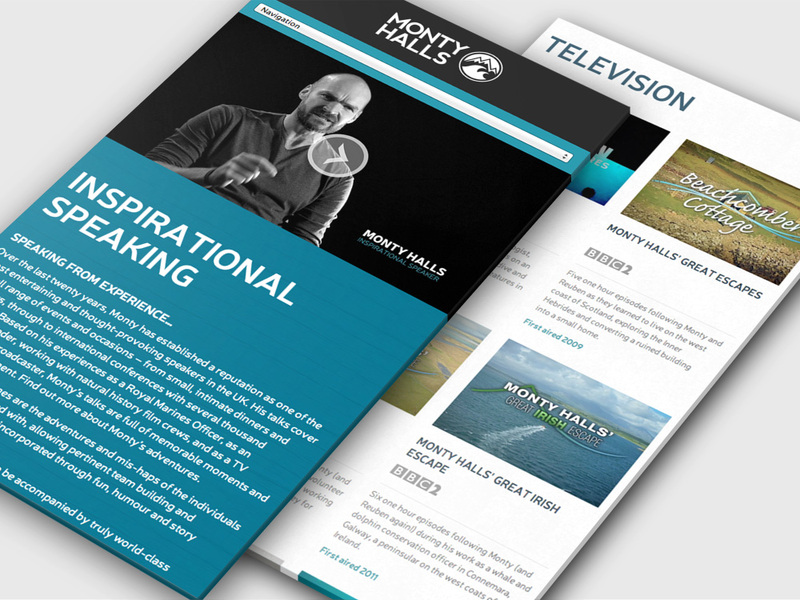 We worked closely with Monty to develop his brand positioning, strategy and identity culminating in a new website (a fully responsive website design), aimed specifically at three distinct markets. 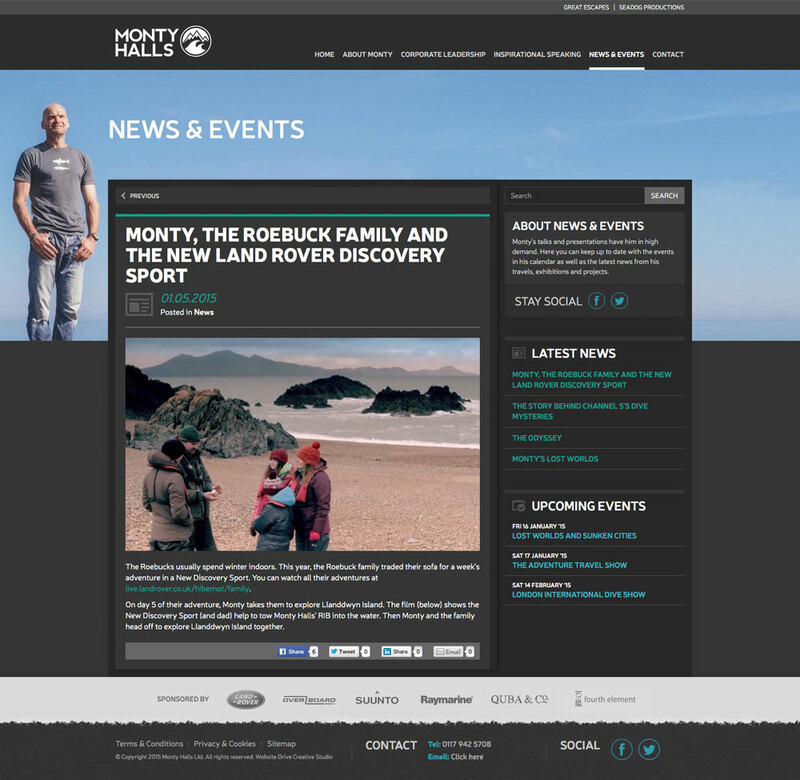 Using the primary menu to segregate these main areas (representing both Monty’s personal skill-set and his services), and scrolling sub navigations within each area, the experience is streamlined for each target market with minimal crossover of information. 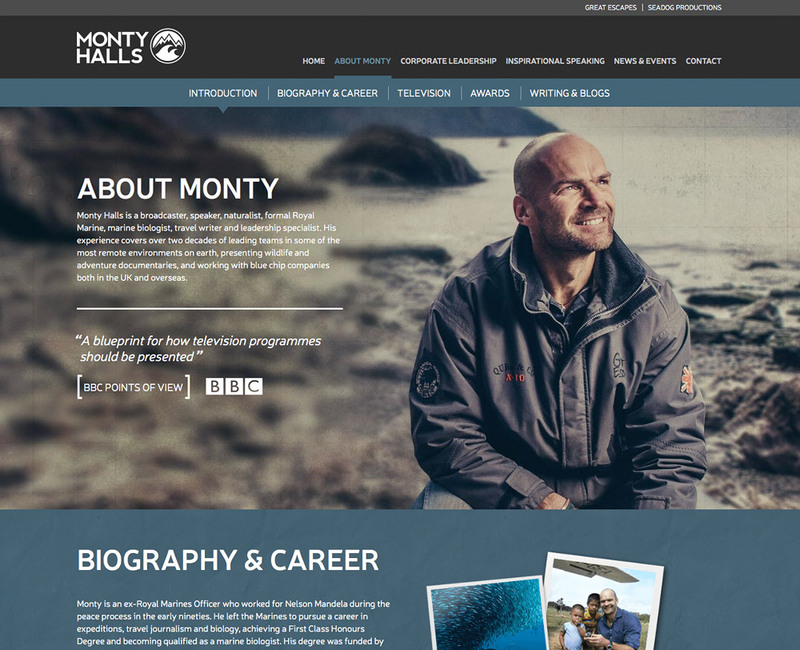 We also identified the need for video content and engaging imagery to convey the Monty’s personality and approach to his work. 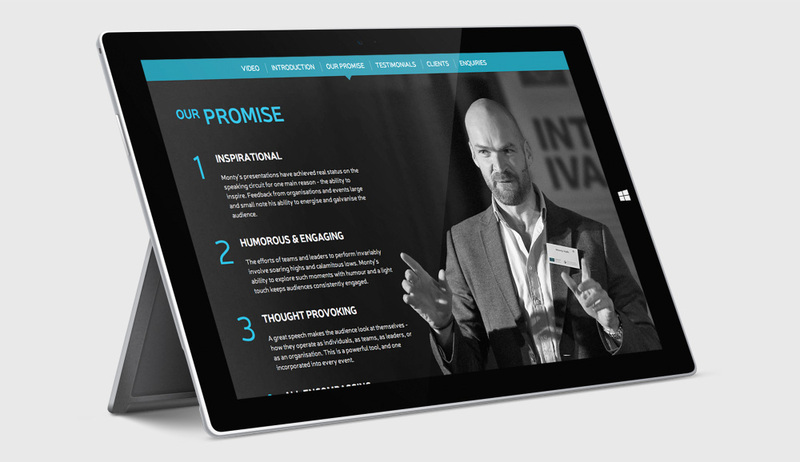 The website was developed with a focus on responsive website design (allowing an engaging user experience throughout desktop, mobile and tablets devices), and with a heavily customised WordPress CMS, all content is easy to update by the client. 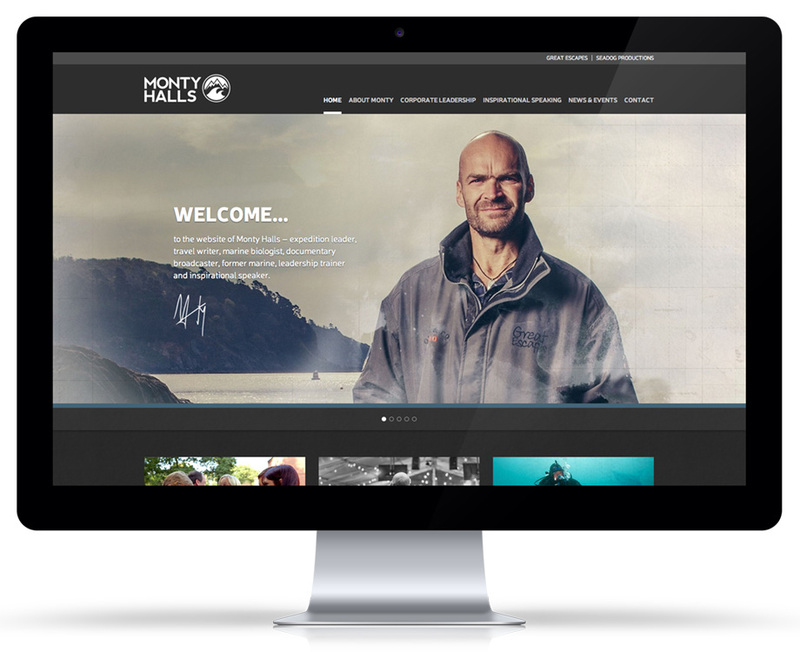 Use of CSS3 transitions add interactivity without adding weight to pages, ensuring fast page load times despite the use of large imagery and long segmented pages. © 2019 Drive Creative Studio ® Ltd All Rights Reserved.